Have you ever wondered what it would be like if your stuffed animals had a slumber party? What kind of silly things do they do when you’re not looking? Now is your chance to find out! 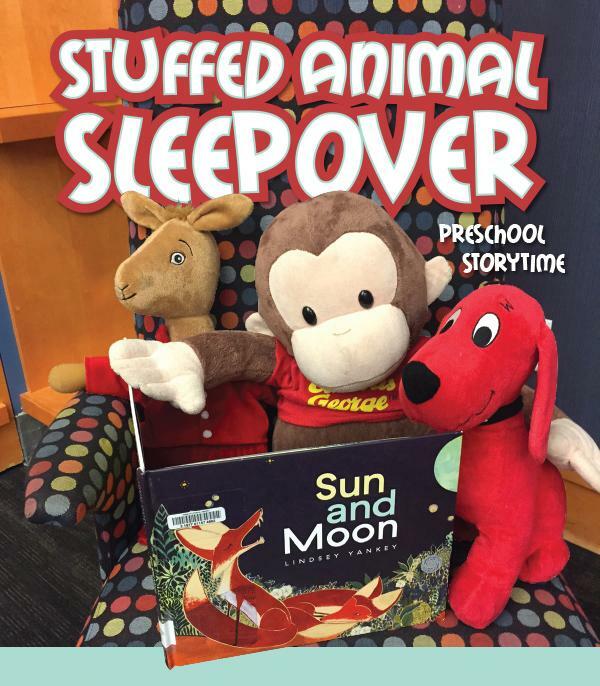 Bring one of your stuffed animals to preschool storytime on Wednesday or Thursday, and leave them at the library for a stuffed animal sleepover! Come back the next day to find out what crazy antics your cuddly friend got into at the library overnight! Your stuffed animal will be safely returned to you with pictures of what they did! Pick up next day or whenever is convenient for you. A preschool-age oriented program for preschoolers where longer stories and books are shared with fewer activities. Preschool Storytime is recommended for children who are 3,4, or 5 years old.